Okay, I phoned this one in too (no pun intended). This week’s photo challenge was to take a photo in which a road was the primary or secondary subject. I was busy working and enjoying the holiday weekend so I didn’t give this challenge the time it deserved, which is too bad because roads have been a favorite subject of mine since I first picked up a camera. 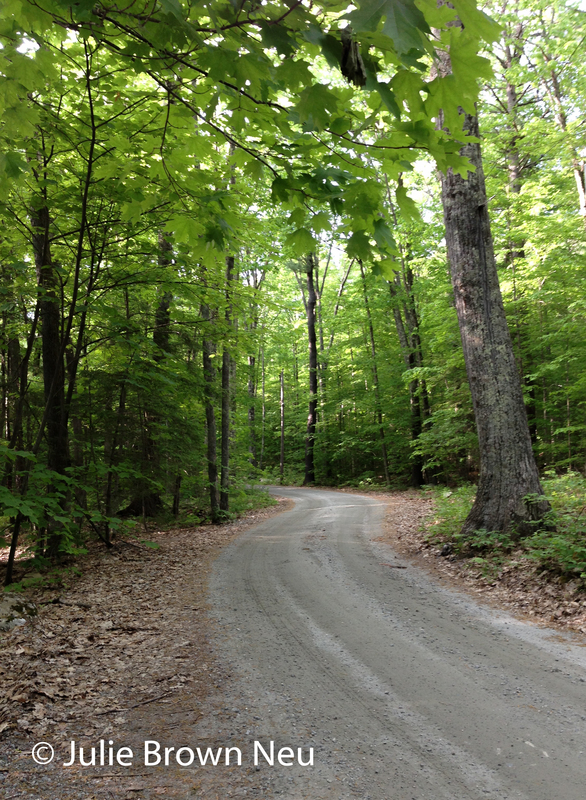 I grew up on a farm out on a dirt road that was tree-shaded and bordered by stone walls. I love photos of roads disappearing around a bend because there’s so much possibility in what lies around the corner. This photo, snapped on my phone after responding to a text from my cousin who was coming for a visit, isn’t of that road in front of the farm, but it reminds me very much of it.